Longboarding has evolved to include several niche styles, all expressions of a rider’s unique search for self-expression. Downhill speedsters and free-ride sliders do their thing but, for some, the enduring theme is simply to cruise. 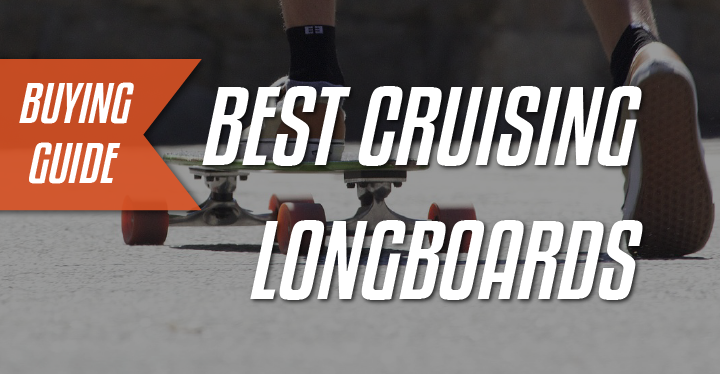 This list of the best longboards for cruising is for the latter type of rider. Whether you want to ride just for fun or you are looking to turn and carve on your way from point A to point B, a cruiser longboard has much to offer. Typically set up to allow for maximum lean rather than maximum speed, these boards offer a more laid-back approach to longboarding. Make no mistake, though, some of these completes can hang with the fastest longboards on the market. And some of them are ready for the worst most riders will ever dish out. 2.1 Pick The Righ Shape! 2.2 What’s The Perfect Size? 2.3 You Get What You Pay For! The Arbor Pocket Rocket is a purpose-built cruiser and a work of art at once. It is 7-ply maple with a premium top layer, which Arbor’s clear, spray-on grip allows to shine through. 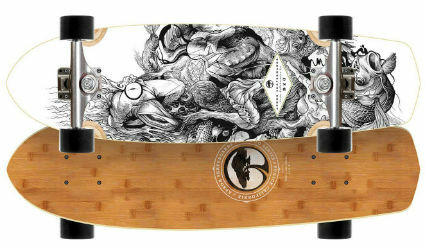 The board is 7.75 inches wide and 26 inches long with a 14-inch wheel base, and Arbor gets the wood for the deck from sustainable resources. The Pocket Rocket has a kicktail that makes carving fun, and small ollies up and down curbs are possible. The Paris Street trucks on the Pocket Rocket are 108mm wide with a conventional kingpin design. They have a higher profile than a typical cruiser truck, practically eliminating the need for risers. The urethane bushings are soft and pliable, making for a smooth carve, but lacking the ability to make tight for high-speed runs. The Pocket Rocket gets Arbor’s Bogart Series wheels, which are part of the company’s Sucrose Initiative renewable-resource product line. They are 61mm and 78a, with a 36mm contact patch, and are offset by 2.5mm. They are made to slide if pushed, but they also have a fair amount of grip for carving. The Arbor ABEC 5 bearings break in nicely, gaining speed over time. They are nothing special, but will provide all the speed most cruiser board riders will ever need or want. The Sector 9 Lookout is 41.125 inches long and 9.6 inches wide with a 31-inch wheelbase, and is a drop-through design. Sector 9 uses a vertical lamination process for the bamboo layers to produce an artisan-quality look, which the clear grip tape reveals. The bamboo allows some flex, but is strong and resilient. Drop-through designs have no tail, but what they lack in maneuverability they make up for in stability at speed, because the rider is closer to the ground than on conventional top mounts. The taco mold concave is pronounced, locking the rider’s feet into place. The Gullwing Charger trucks on the Lookout are 10 inches wide and have a reverse-kingpin design. They are designed specifically for cruising, unlike some trucks included with drop-through completes. They have soft bushings, which allow for fast cuts and digging carves. Gullwing has been a respected truck manufacturer since the early 1980s. The wheels are Sector 9’s Top Shelf urethane wheels, with a 74mm height and 78a durometer. They are smooth and grippy, but they will slide if coaxed. The PDP ABEC-5 bearings are Sector 9’s typical included bearing on completes. They are not terrible, but are lackluster. With an upgrade, this setup can keep up with anything on the street. Sector 9’s ABEC 9 bearings are a marked improvement. Check their current prices on Amazon here. Yocaher’s Punked Pintail utilizes 9-ply maple construction. It is 40 inches long and 9 inches wide, with a 27-inch wheelbase. The pintail shape is a classic in longboarding, and it mimics the shape of surfboards. It lends itself to long, languid carves more than aggressive slashing and sliding, though it is capable of those techniques. Concave is practically nonexistent on this board. The Yocaher trucks are utilitarian, but functional. The hangers are 180mm wide, and have somewhat hard bushings that detract from the setup’s maneuverability. The reverse-kingpin design does make for a stable ride, though not the most durable,these trucks will suffice for all but the most aggressive riders. Yocaher’s Q-Ball wheels are 74mm tall and 52mm wide with a 78a durometer. Though they are not as smooth and fast as some high-end wheels, they are serviceable. The bearings on this Yocaher are a different story, though. Slow upon arrival, they break in inconsistently. Some may become faster, while others will get slower. A bearing upgrade will bring this complete to life. The Gold Coast Bamboo Pintail is large at 44 inches long and 10 inches wide and has a 26-inch wheelbase. Its length makes it well-suited for commuting and straight-line cruising, but it will not maneuver like its smaller competition. The bamboo layers give it a fair amount of flex, but nothing over the top thanks to its five maple layers. There is a tail, though with no kick, allowing for wheelies and slashing. The Century trucks on the Gold Coast completes are 179mm reverse-kingpin trucks with 93a bushings, and are responsive and well-engineered. The responsiveness is in part due to quality bushings, which all easy turns but snap back quickly. Century is Gold Coast’s in-house truck, but it handle as well as most aftermarket trucks. The Shred Boots wheels are Gold Coast’s most popular design. They are 70mm tall and have a 47.25mm contact patch. At 85a, they are harder than most longboard wheels. Their hardness and their rounded edges lend themselves to massive, barking slides. The ABEC 7 bearings are faster than those usually found on a typical beginner’s cruiser, but they are by no means fast. An upgrade will make the Gold Coast nearly flawless. The Landyachtz Maple Chief may be a goldilocks shape for some riders. It is 36 inches long and 8.75 inches wide, with a 26.5-inch wheelbase. It is a cambered, rocker deck, meaning it curves downward slightly along its length. This design flexes quite a bit, but its seven plies of maple give it good strength. The Maple Chief is one of the most maneuverable cruisers on this list. The Bear Grizzly 852 trucks on the Maple Chief are an all-around performer on the street. They are reverse-kingpin trucks with 8.5-inch hangers and 52-degree baseplates. This configuration makes for an agile truck, which will carve and slash as well as anything else on this list. The Hawgs wheels are 69mm tall with a 78a durometer. They are smooth rolling and fast, with a marked tendency to grip the pavement thanks to pronounced lips on their edges. The ABEC-7 Bear Space Balls bearings are smooth as well, though their built-in spacers are an unnecessary complication that faded out of skateboarding a generation ago. No need for an upgrade right away, but a complete swap out will be required if new spacers are to be used. SCSK8 makes simple longboards for the frugal rider. The SCSK8 pintails are available in several lengths, including 36 inches, 40 inches and 44 inches. The smaller two are 8 inches wide while the largest one is 10 inches wide. They are all 7-ply maple, and none has a tail or concave to speak of. They are simple longboards, for those who simply want a board. These boards come with 7-inch-wide aluminum trucks, which are industrial and plodding, but solid. The urethane wheels are 70mm tall and are a bit gummier than other wheels on this list. SCSK8 lists its in-house, Red bearings as ABEC-9. Regardless, they are slow and refuse to break in. What makes the SCSK8 a great buy is that you get a complete board for less than the cost of many decks on the market. 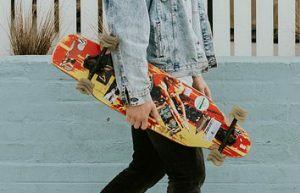 If you are learning to longboard, you can get familiar with the basics and investigate upgrade parts until you know exactly what you want. The SCSK8 deck is worth the price of admission. The Santa Cruz Land Shark is another purpose-made cruiser, this time from one of the oldest names in skateboarding. The 7-ply maple deck is 27.7 inches long and 8.8 inches wide, and it has a kicktail for greater trick selection. Its shape is reminiscent of some of the early 1980s skateboards, before the shapes in that sport became homogenized. For all-around cruising and carving, the Land Shark is hard to beat, as you can see in this YouTube video. The 127mm Bullet trucks are beefy and well-engineered. The 88a, double-cone bushings are snappy and responsive, allowing sharp turns with minimal input and always quickly return to straight. The Land Shark is capable of serious speed, but those who wish to bomb hills may want to consider harder bushings, or even switching to the conventional cone and barrel configuration. Santa Cruz opts for its Road Rider series on its Land Sharks, the original name in urethane wheels. The modern ones are 65mm tall and have a 78a durometer, both pretty standard fare in a cruising longboard. Santa Cruz has always made great wheels, and these are no exception. The bearings are Santa Cruz’s ABEC-3 bearings, which are the lone sore spot on this setup. Still, they are faster than many lower-grade boards’ ABEC-9s. Why in the world is there a bottle opener? When your search for a longboard begins, the limitless choices can be daunting. If you’ve made it this far, you have likely decided that a cruiser longboard is for you. If you’re into carving, you’ve made the right choice. The best cruising longboards allow for you to play at the other niches — to bomb hills and to slide heelside till your heart’s content — but they excel at expressive skating through urban terrain. Let’s look at a few criteria that make for a great cruiser longboard. The correct shape of a cruiser deck comes down to personal taste, but there a few options that perform better for certain aspects. If you will be going fast in a more-or-less straight line, a drop-through or pintail will be fine, and you may even prefer their look. The pintail lends itself to a more mellow, sweeping carve, reminiscent of surfing. The drop-through is most stable at speed, but isn’t exactly designed to carve up the concrete. Longboards with a kicktail offer the most skateboard-like carving and cruising experience. The reason is that the kicktail allows the rider to easily lift the front wheels, making sharper, slashing cuts possible. They can also be used to hop up curbs, even if ollies are not in your bag of tricks. Again, they are not a requirement, but the kicktail opens up a range of possibilities that other shapes do not. Sometimes it seems like any longboard that doesn’t fit into the other niches is classified as a cruiser, but do not be fooled. A tiny plastic board may allow you to cruise, but it doesn’t allow for creative carving and pumping like a purpose-built cruiser does. The large, 40-inch-plus models allow for mellow, languid carving lines, and there is nothing wrong with that. But if you want agility, you will need a shorter board than that. Boards like Arbor’s Pocket Rocket and Santa Cruz’s Land Shark offer the most versatility in maneuvering and both mellow and aggressive carving, while also being great for simple transportation. Their smaller size makes them easier to stow away in offices or class rooms as well. This is the sticking point for many riders, especially new ones. It is an inescapable fact: quality longboards cost more money. The reason completes can be so expensive is because the components are expensive to produce or procure. But, as is often the case, you will get what you pay for. Better quality trucks offer a carving experience cheap knock-offs cannot aspire to, and quality urethane makes for smooth-riding wheels and slick-turning bushings. Quality bearings will get better with age; broken-in bearings are not available on the market. 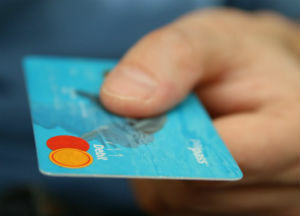 If you elect to go cheap at first, understand your purchase will be open-ended. There will be the added cost of upgrades as you replace broken or poorly performing parts. Cheap bearings start out slow and get slower, and poorly designed trucks will never get better. If you must start out with a cheaper board, which I did when I began, try to at least get a quality deck. The wood is usually the most expensive thing to replace, but good bearings are a simple upgrade. If you’re new to longboarding, check out this YouTube video for a carving tutorial. I’d suggest also to look at our top premium longboards list, to get a sence of what you can get with a little more spending. Whether you are in it just to get to the store, the bar or class with the least effort, or you want a ride that thrills, there is a longboard out there for you. The cruiser class is the most open to manufacturer’s interpretation and experimentation of all the longboard niches, and it offers the most opportunity for self-expression in the sport. Be mindful of your needs and your knowledge of components when searching out the best cruiser longboard for you. Some of these completes require nothing in the way of upgrades, so you can just grab it and go right off the shelf.